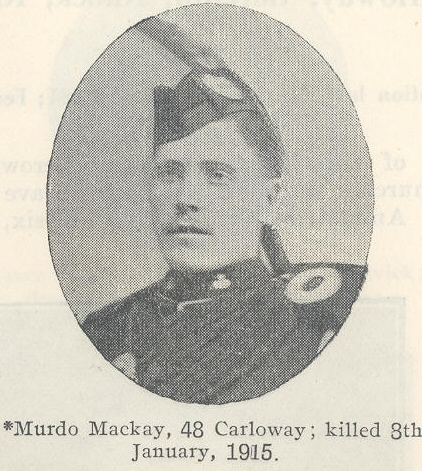 Son of Malcolm and Marion Macleod MacKay, of 48, Carloway, Isle of Lewis. Enlisted at Glasgow, resident in Quebec, Canada. Had served with the Camerons in the South African war and rejoined from Canada in 1914. Served in Egypt with 3rd Bn. Seaforth Highlanders.